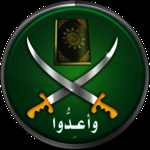 Founded in 1928, the Muslim Brotherhood (al-Ikhwan al-Muslimun) is the world's most influential Islamist entity. By laboring to Islamize society from the bottom up, it aims to bring Egypt under Shari'a (Islamic law) and ultimately restore the caliphate (transnational Islamic state) abolished after World War I. Egypt has suppressed the Brotherhood throughout most of its history, but the overthrow of Hosni Mubarak led to the election of its candidate, Mohamed Morsi, as president in 2012. Following Morsi's ouster, the Brotherhood is once again banned in Egypt, whose government has labeled it a terrorist group; Russia and Saudi Arabia likewise designate it as such. Brotherhood ideologues have inspired countless jihadists, including those of al-Qaeda and Hamas, the latter of which describes itself as the Brotherhood's Palestinian arm. The Brotherhood currently has branches in dozens of countries. The most prominent American Muslim organizations, including the Council on American-Islamic Relations, Islamic Society of North America, and Muslim American Society, have Brotherhood origins or links. An internal memo from 1991 lays out the group's vision for the U.S.: "The Ikhwan must understand that their work in America is a kind of grand jihad in eliminating and destroying the Western civilization from within and 'sabotaging' its miserable house by their hands and the hands of the believers so that it is eliminated and God's religion is made victorious over all other religions." The Muslim Brotherhood Terrorist Designation Act of 2014 has been introduced in the U.S. House of Representatives.